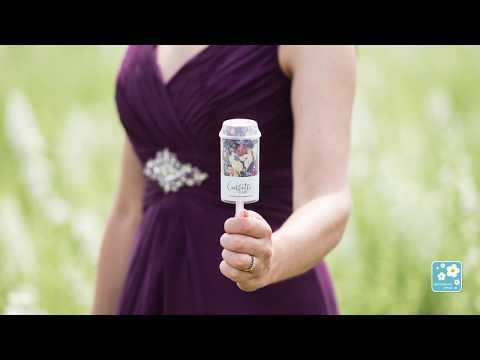 25 Personalised Confetti Pops filled with your choice of natural petal confetti and comes complete with a beautiful rustic kraft display box with trays to hold your Confetti Pops in place. Each Personalised Confetti Pop is filled with a handful of confetti. All our confetti is natural, biodegradable and eco-friendly. After you've finished with your pops they can also be recycled too. View all the Personalised Confetti Pop designs here.